A view from the evening ferry returning from Colonsay to Islay. While mostly clear a few clouds have gathered over the top of Sgarbh Breac (364m), the highest hill in the north of Islay. Mala Bholsa in the distance on the right, Rhuvaal towards the left of Sgarbh Breac. 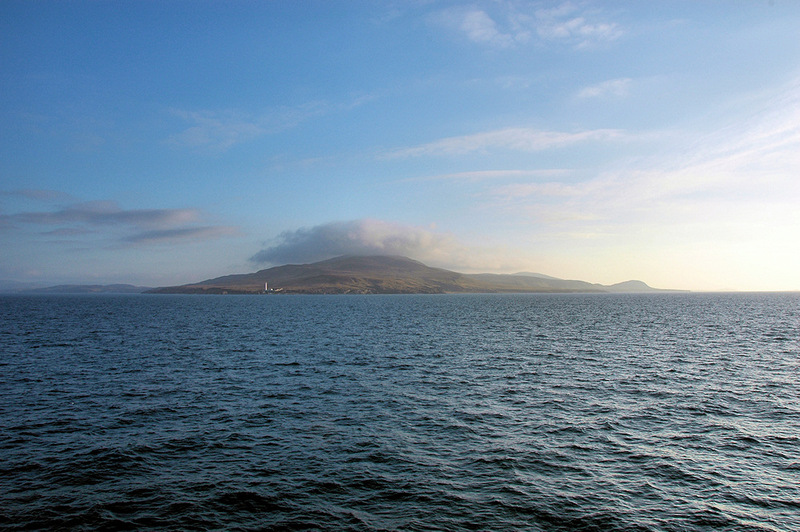 This entry was posted in Cloudy Weather, Colonsay Excursion, Landscape, Lighthouses, Repost, Sunny Weather and tagged ferry, Islay, Mala Bholsa, Rhuvaal, Sgarbh Breac by Armin Grewe. Bookmark the permalink.